Here’s a quick demonstration that will give you an understanding of low-emissivity or low-e glass. This first model shows how low-e glass is used for solar control. The heat lamps in the back simulate infrared light or heat radiation from the sun passing through the glass and touching the radiometers—the two glass bulbs—on the other side. The speed at which the vanes spin inside the radiometers indicates the level of heat coming through the glass. The faster the vanes spin, the more solar energy is coming through the glass. On the left side is a one-inch insulating glass unit or IGU of two 6-millimeter lites of clear glass. On the right is a one-inch IGU of two 6-millimeter lites of Solarban® 70XL by Vitro Glass, a solar control low-e glass. As you can see, the radiometer vanes on the clear glass side are spinning very quickly, indicating that the clear glass is blocking very little of the solar radiation, while the vanes on the solar control low-e glass side are spinning very slowly, indicating a great deal of infrared light is being blocked by the glass. In fact, an IGU of Solarban® 70XL blocks 75% of total solar energy, while the Clear/Clear IGU blocks only 39%. 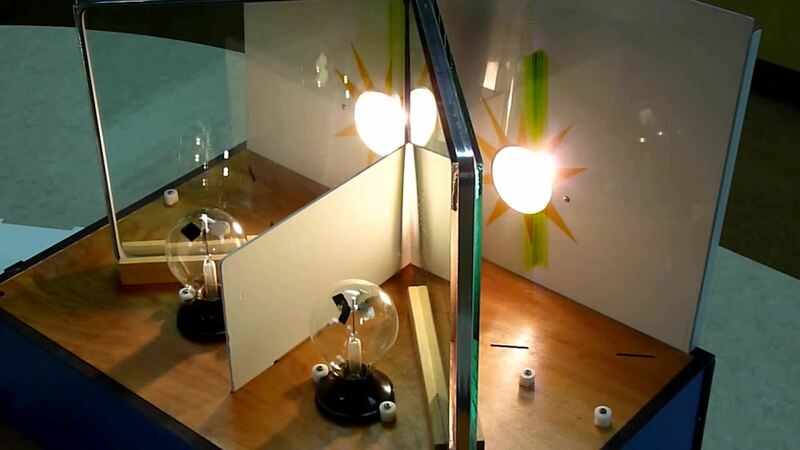 In this model, we’ll show you what glass does with solar energy. We know that glass does three things with solar energy: It reflects, absorbs and transmits parts of the light spectrum. Although we can’t see it, we know that a certain amount of solar energy is being absorbed by the glass. But we can see solar energy being transmitted and reflected. Here, we’ve added radiometers on the outside of the glass to demonstrate the performance of the glass in relation to solar energy on the exterior of a building. We’ve added protective panels to shelter the glass from the direct energy of the heat lamps, which represent the sun. On the left side, we have the IGU of clear/clear glass. The radiometer on the outside is spinning very slowly, indicating not much energy is being reflected by the glass, and the radiometer on the inside is spinning very quickly, indicating that most of the solar energy is being transmitted right through the glass. On the right side, we have the IGU of solar control low-e coated glass. 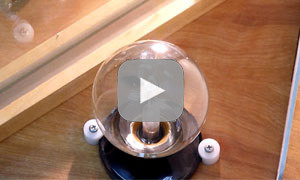 As you can see, the radiometer on the outside of the glass is spinning very quickly, indicating that most of the energy is being reflected by the glass, while the radiometer on the inside of the glass is spinning slowly, indicating that very little energy is being transmitted through the glass. 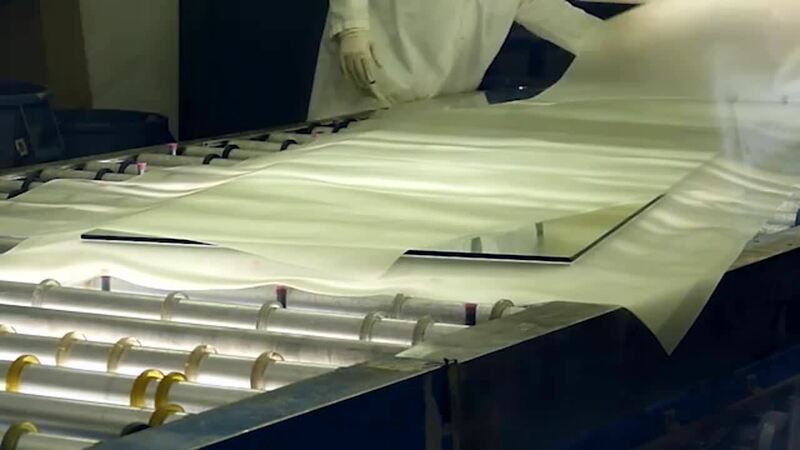 So, when used on a building in an air conditioning-dominated climate, solar control low-e glass will help keep solar energy out, enabling more efficient cooling and smaller HVAC systems to be specified. 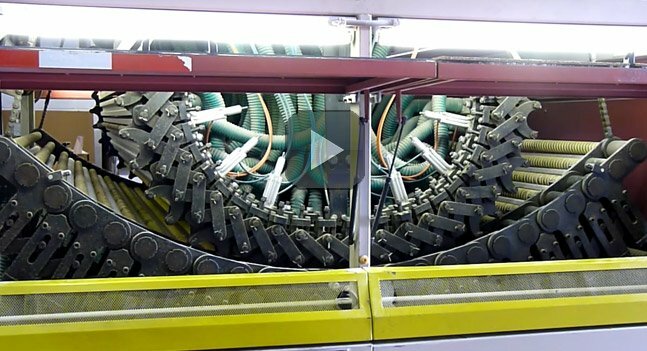 For more information about the types of low-e glass and how they work, view the video “How Low-e Works?” on the Vitro Architectural Glass Education Center website.